Now, we're not asking you to turn up at work and take over the company. What we are asking you to do is find one little task that is usually done by someone else and do it for them. For example, if it’s usually your wife’s job to fold the laundry, or if your husband is usually in charge of taking the dog for a walk – you do it instead. Don’t think too much about fairness, about how many other tasks you always to. 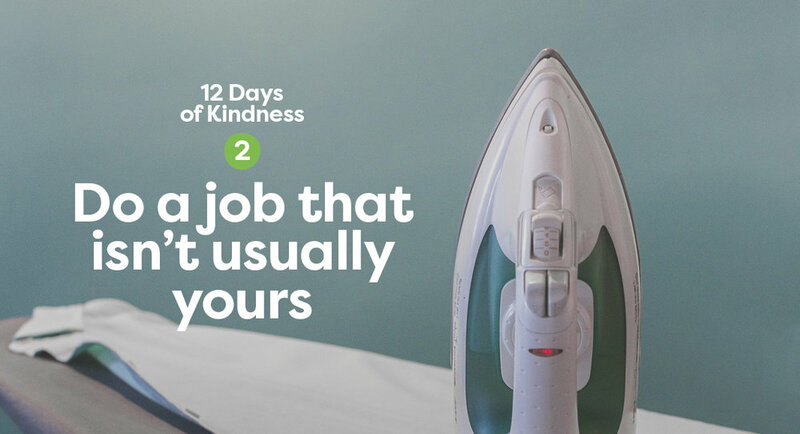 This one task is about being kind. Also, try not to make a big fuss of it. Treat it lightly and joyfully, rather than making the other person feel guilty that you’ve done it. This isn’t about looking for praise, it’s about doing something for someone else.